We are thrilled to be introducing the world’s first PTZ camera that is truly plug and play—the NewTek NDI PTZ. With built-in NDI functionality, this revolutionary IP video camera transmits full 3G 1080p 60 video directly to NDI-compatible products across a standard network. 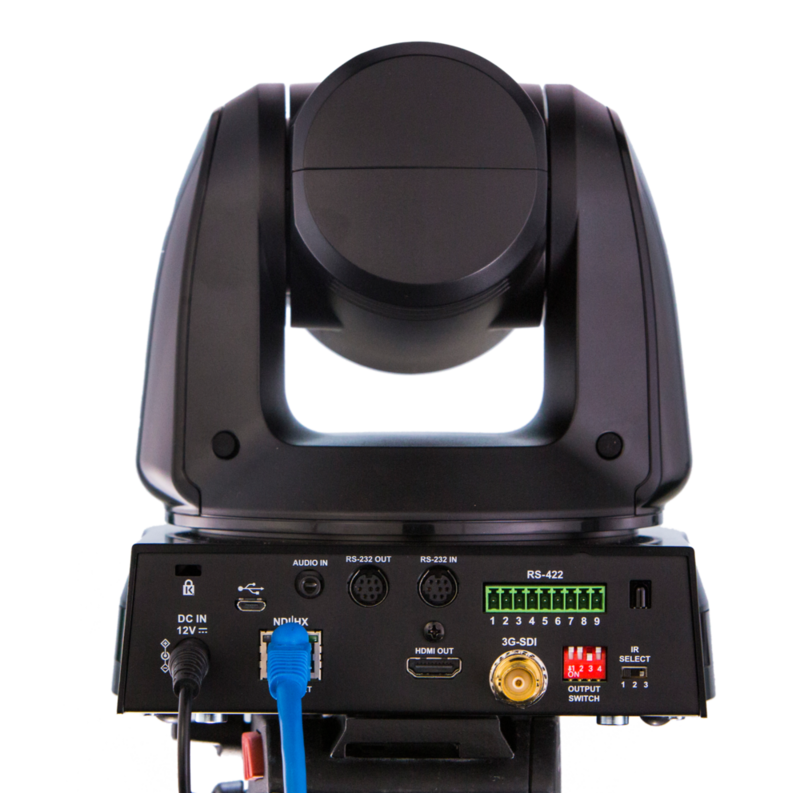 The NewTek NDI camera connects to the network and delivers pristine video and audio, as well as tally, PTZ control, and power all over a single Ethernet cable. Once connected to the network, the camera is visible to all compatible systems running the latest version of NDI, including NewTek TriCaster®, LiveStream Studio, SplitmediaLabs, XSplit, Streamstar®, OBS Studio, StudioCoast vMix, Telestream Wirecast, and hundreds more. More sources become available immediately with the simple addition of NDI cameras to the network. Once available on the network, the NewTek NDI PTZ camera is also automatically recognized by applications such as GoToMeeting™, Skype™, Skype for Business, Zoom Media and many others. The NewTek NDI PTZ Camera is priced at $2,799 US MSRP and is available for order now.